Some hopeless family has posted this on net: November 5, 2009 afternoon, a tragedy happened in a Children’s hospital, but we the common people will not see it in today’s newspapers or from major media. It’s not that we didn’t ask for help, but there was no one helping us. Posting this in hope of friends in the society can support us, to make people responsible at the hospital step up, to make the major media step up including our beloved 110 (police) also step up. Thanks for the internet, now the incident has reached a widespread awareness at least all the major media has made it clear to all public in Nanjing and other cities. We can't know the real reason behind the death of the child, maybe it catched some unkown disease that beyond what the doctors can do, but according to what we have heard, many people think the doctors on duty should take some of the responsibilities. It's said the on duty doctor was playing games that time and declined the 3 time's plea by the family for calling the doctors to check their baby. Quite curious what this will end to the public. Morning Jam is a global problem unless you are living in some less densenly populated city. But it's just a fair deam if you living in some big Chines cities. The road to office is not that easy at all. One hour is basic for some citizens. Some people are so lucky that they could live near their work office, that's nice since you won't have to join the subway crowd or the terrible public bus that will stuck in the road for half hours not moving with you standing there in the middle of the crowd. Why there is always jam even thought roads are build more and more, broader and boader at the same time. Individual car is so many, that's the problem. Every family desire of owning a car, but unless they got one, they won't realize the trouble the car also brings, you still get late to work when driving to work, and you are so troubled about how to park your car. You are also been annoyed by the ever increasing oil price once in a while. So counting on your two foot, keep walking seem to be the best way. (just joke). 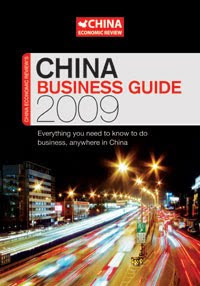 China Business Guide 2009 is the definite guide to doing business in China. It is an essential tool for companies looking to enter or grow in the growing China market. Here in one compact guidebook are an astounding number of facts, figures, overviews, foreign investment reports, analyses & expert reports, maps and data -- all of immense help to those planning to do business in China, travel to China or set up permanently in this dynamic nation. President, Naroff Economic Advisors, Inc.
"Over the past century, Americans' images of China have fluctuated wildly from victim, to heroic fighter, to Communist fanatic. We have loved them and feared them. And now, as Sara Bongiorni shows in vivid personal terms, we are in a new phase where it is a little of both. China has become an economic giant that can step on our toes, but that we must embrace." 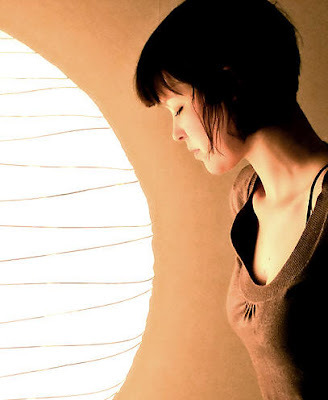 "When the writer resolves to forgo Chinese imports for one year, she leads her lively family in a fascinating experiment that requires surprising feats of will power and ingenuity. The family's adventure through the maze of modern America's consumer life is both thought provoking and delightful to read. Those little 'Made in China' labels will never seem the same again." 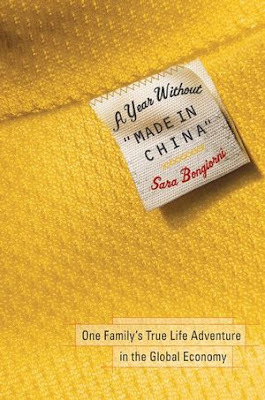 "Breaking up is indeed hard to do, as Sara Bongiorni proves in this winning memoir of her household's one-year boycott of Chinese products. Equal parts Erma Bombeck and economics, A Year Without 'Made in China' is that lively miracle—a crash course in globalization that is also consummately entertaining." "A funny and engaging story about one family's experiment in our global economy. The Bongiorni family does without sneakers, sunglasses, and printer cartridges, but develops a dogged creativity and much needed sense of humor. The myriad moral complexities in the relationship between American consumers and Chinese factory are evident in each shopping trip." There is both voices about drinking coffee, generally, people think it’s not so healthy as Chinese green tea. But coffee got its own magic, its irresistible flavor and smell that will intrigue you right away. I suggest you bring a coffee maker home and make coffee yourself, since the coffee beans would emit so great scent to bring you good mood. You won’t experience the scent only if you make coffee yourself. It’s a great joy too. Apart from all those bad talks about coffee, For most of us, the humble cup of coffee is simply a harmless and enjoyable way to kick-start the day or give us an excuse for some time out. No more, no less. However, it is important to remember that different people exhibit different tolerance levels to caffeine—it is, after all, a drug. So, while a mid-morning cappuccino will give one person a pleasant buzz, it could make another person edgy and irritable. To play it safe, it's best to err on the side of caution. Whatever your choice—espresso or latte—keep a watch on your consumption for the sake of both your short-term and long-term health. As a typical Chinese girl who not so familiar with the western coffee culture, I got so much to learn about coffee, as to its different style, coffee beans knowledge, and those gadgets for making coffee. I just started the self-made coffee adventurer a short time ago, for adding some interesting expectations to ordinary life, I think it did the effort, and my family together enjoy the coffee time. It’s not all about drinking coffee, it’s about giving leisure time for yourself, to enjoy life. 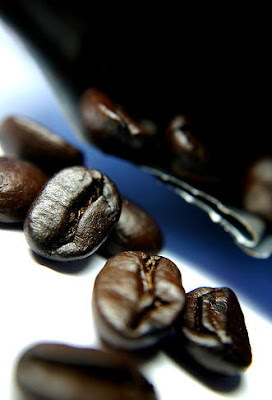 I would learn more about the beans now, and find the best area to buy them, some famous beans are not so easy to get, since Chinese are not quite depend on the coffee culture, it’s only been a popular experience among the younger people just like me, those elder ones such as my parents, they are not drinking coffee very often. Many people's lifestyle has been changed during this finantial crisis, which still seem to have no sign to leave us. As the financial crisis squeezes the real economy, urban white-collar workers speak of shrinking bonuses and frozen wages. 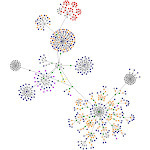 Some are unemployed but just how many is unknown as China has not released that information. Students are facing the worst job prospects since China's economic reform began 30 years ago. It natually becomes a time when frugal living becomes new trend and fashion.People share different experience and ways of saving money, learning how to spend less money, but achieve the same effect or got the same life as usual. It all comes down to life details and some attitude change. For example, we would buy clothing from c2c website instead of spending much more money in the shopping malls or even make clothing by ourselves if you got the skills. We could cook more instead of going to restaurants, learning more cooking skills and heathy recipes, which is better in a lot of senses. 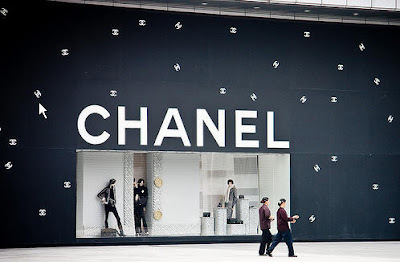 In such way, you may have more time with your families and enjoy life's simple pleasure, which previously you are too busy to experience.Those big brands like chanel, gucci,LV...Let them skip our eyes and minds for the moment since they are not necessity in life. The frugal lifestyle seems to be endorsed by authorities too. In a commentary published last week in the People's Daily, the writer said frugality did not conflict with the government's demand-stimulating policies, as it called for reasonable rather than reckless spending. Frugality could also help people spend their limited money on the most needed things. Work hard, keep the current job, and keep a positive mind too. 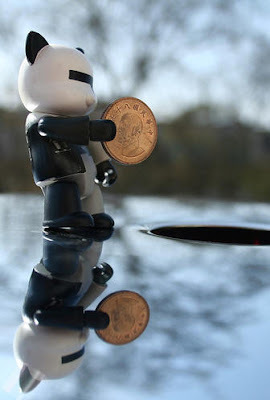 Even if you are so unlucky to be caught in a undertowm, don't be so down, look at the bright side. Learn more skills during this time, spend more time with your family. It may not be so bad. Different shot taken in the same place at the same time would have totally different effect and feeling. That made us thinking. 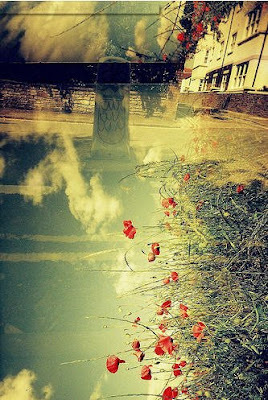 Is shot the true reflection of the reality. The answer is no, taking shot is all about light and angle. It's about what you want to emphasis on and what to hide from. It's about angle you choose, the light you captured. Photography skills takes experiences to command, and it's such a amazing things about taking shot if you really got the skills and photo philosophy. I was very interested in taking shot recently and want to learn more skills to capture more fun and beauty in life, to record those magic moments in life. The other day when I was wearing my charming evening address to attend a party, I feel a little sorry that I didn't bring my camera to take a picuture of me. When I returned home, I carefully put my dress in a hanger and changed to my casual flip flop. A special day has passed with no trace. We should keep the habit of taking photos of ourselves when we are young to keep as many good memories as possible. I was often impressed by those skillful men with good photography skills and they have turned the ordinary into magic. The light and the angle is sometimes full of creation and art. Charming children, idyllic settings and the wrong lighting add up to lousy pictures. The flash on your camera is your friend - unless it’s not. Washed out faces and redeye are just two of the problems you’ll face in less than optimum light conditions. You can eliminate the redeye problem by taking your pictures outdoors. Avoid shooting in the middle of the day. Mornings or late afternoons make for a much warmer and less shadowy photo. Position yourself so that the light comes from the side. If it’s in their faces, they squint. If it’s behind them, their faces will be in shadow. Indoors, use your windows to your advantage. Even the light on an overcast day will add softness to your photo. Forget all that stuff you’ve read about tilted chins and carefully arranged arms and legs. A pose looks exactly like what it is. Let your kid just be a kid and concentrate on the composition of your photo. Avoid framing her in the middle of your shot. Think of the image in your viewfinder as a tic-tac-toe grid and try to position the camera so that the she appears where two of the lines intersect. And always shoot at eye level with your subject. This isn’t aerial photography and shots taken from above will foreshorten your kid’s body and make his head appear larger than life. Get down on your knees or lie on your stomach if you have to. Sure, you’re intent on capturing the perfect expression, but pay attention to what’s in the background, too. Often without realizing it, we take photos that look like a fence post or tree is growing out of the top of our kid’s head. Make sure you position yourself so that what’s in the background stays where it belongs. Listen to Bang Gang in the night, enjoy the melodies, really intoxiated in it. You have found the perfect music to keep you dancing through the long dark night. Dark in vision, yet packed with light and instantly memorable melodies. The songs exude diamond sharp sadness, paranoia, passion and intensity in a setting of carefully constructed melodies and computerized rhythms. Bang Gang is his chosen vehicle for projecting his dark musical fantasies, where phantoms and ghosts sing in whispers, surrounded by celestially beautiful melodies. It seems that Chinese people are more cautious about their money spending compared with most westerners who likes to reply on credit cards and spend their future money. It's all about culture difference and different attitudes about money spending. To take a deep investigation about this vast diversity, I should say the reason is complicated as you may thought, it's not a easy thing as right or bad, as though I think it's a virtue to save money. Bank is our best friend, and we have the habit of putting money in the bank even bank don't give any profit of it or would charge us for the money saving, we still wan to save, because we have lots of things to worry about, such as the housing problem, the medical fees, the children's education, all this needs money. As for me, during this finantial crisis, I go to the supermarkets less and less, and seldom to the big malls for clothing since the price is way out of our reach. So I turn to online shopping, where I bought idear products just by simple click. Since I live in the big city, so the logistic system is working perfectly well. During the begining, I only bought some cheap daily use items like cushion, small kithcn stuff, clothing. But when I found that the online shop is becoming more professioanl and the products sold by trustworthy sellers is cheap and chic, I begin to buy some large amount items like brand clohing or window curtain for home decoration. Don't take wrong of the title, I'm not going to talk about marriage problems here, but a new kind of lifestyles that going more and more common among young people, that's life alone at home, seldom make any contact with other people or society. The fast growing of technology seem to make face to face communications between people less, drive people away from each other more often. Every part of the world today is enjoying the comforts provided by technology, by internet. Many young people now used to live life alone at home alone, don't want to enter reality world out here, some of those people even grow the illness called Melancholy symptom. They feel home is the most cozy place, they could wear comfortable sandals, totally be free. They don't need to care about the appearance at all; just a leisure cotton shirt could just be ok. When feeling tired, just pick up a cushion and have a good rest, the other time, they have computers and online fantastic world. So I have listed the following possible symptoms that may decide whether you are into this along lifestyle or not. 1, Crazy obsessed with something: obsessed with cartoon characters, popular stars, certain people, certain instance. And such obsessions is suddenly happened and can’t be easily escaped. 2, Rely on computers: A short time without computers or lines would probably kill you! 3, Can’t live without internet: be online all the time, even you have nothing to do, the QQ or MSN is always online for you. 4, Hate schools or work: Sometimes you would feel very reluctant to go to schools or go to workplace, really hate to go there, but have to go since you don’t seem to have any choices. 5, Your rest time is not stable: You actually have a very flexible rest time that don’t have any rules to follow. 6, Repel going out: Compared to going out, you’d rather stay at home. You could take a lot time considering whether to going out for an activity or not. 7, Don't quite fond of make contact with strangers: Communications with strangers in the reality makes you scary and in great panic. 8, Have both sides in your personality: You could try to hide your inner thought in front of the things you don’t like, drift along your life and feel yourself that you have both characters. 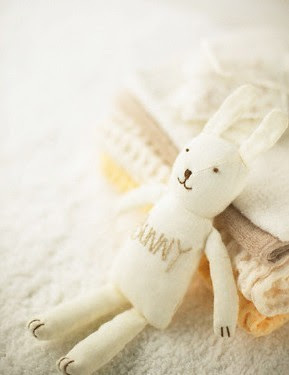 9, Love to collect things: Collect one or another, such as stamps or other stuff, and really into this action. 10, Staying alone: Generally, you don’t have any life companion with you except your parents. 11, Fat problems: Not very slim, just to say at least. Simple life, simple joy! Live everyday like a present with or without sunshine. I'm a girl who enjoy wandering aound the food market more than shopping for clothes. Researching and preparing food and soup is my favarite pastime on weekends. I prefer to touch with nature and outdoor life, so I often sleep in the grass somewhere in the beautiful park, listening to soft rock. That's called happiness for me. Healthy Soymilk as Chinese "Milk"